A:We are located at 1541 E. Turkeyfoot Lake Rd. Akron OH 44312 – in Green. We offer consultations by appointment only please! Q: What is your phone number/email? A: All consultations are by appointment only. We try to accommodate day, evening, and weekend appointments as much as possible. During busy season weekend meetings are hard for us to schedule. Our hours vary week by week. Q:What areas do you serve? A: All first and final consultations are free of charge. If we meet more than 2 times there will be a fee of $50 per meeting after that. Don’t worry – if you are just dropping off or stopping in a for a few minutes there is no charge, we just want to limit our hour long consultations to 2 per bride. Q: Do you do site visits and what is the charge for those? A: We can. We are pretty familiar with a number of local venues and ceremony spots in our area. If you would like to schedule a site visit for us to meet you and go over ideas the cost is $50. Q: Who will I talk to for my consultation? A: Nikki Flathers – that’s me! I am your point of contact from our first consultation all the way until the day of your wedding! Q: I am very busy and pretty much know what I want. Do we have to meet in person? A: There are a lot of times that we don’t meet our brides face to face until the day of their wedding. We send a floral planning guide to be filled out and ask for some inspiration photos. Once we get an idea of what you are looking for, we can estimate the flowers, email the quote, accept confirmation, then run a credit card for payment. Life can be crazy sometimes, especially when planning a wedding, so we try to be as accommodating as possible. Q: Do I have to meet at your facility for our consultation? A: My shop is where we meet for consultations. I have flowers on hand for samples and vases/hard goods to show you to help you visualize your wedding details! Q: Do you require a deposit to hold our wedding date? A: A $100 deposit is required for booking that will be applied to your final balance. Q: Do you have a minimum for booking? A: There is a contract at the bottom of our estimates. You can make any changes along the way up until 2-3 weeks before your wedding. A: Payment is due 2 weeks prior to your event date. That is when all flower orders will be placed and at that point the order cannot be cancelled. Payments can be made along the way if it is easier for budgeting purposes. A: Cash, Check, Visa, Mastercard, Discover, & American Express. If paying with credit card a link will be sent to your email for payment. Q: Do you charge a processing fee for credit card transactions? A: No. There are no additional fees for us to process a debit/credit card for you. Q: Do you charge a delivery/set-up fee? A: There is a small fee for delivery/set-up. This fee covers the price of what we pay our team to go out and deliver/set-up/and/or pick-up. We try to keep these fees reasonable, but you always have the option to pick-up if you prefer. Q: What time do you deliver? 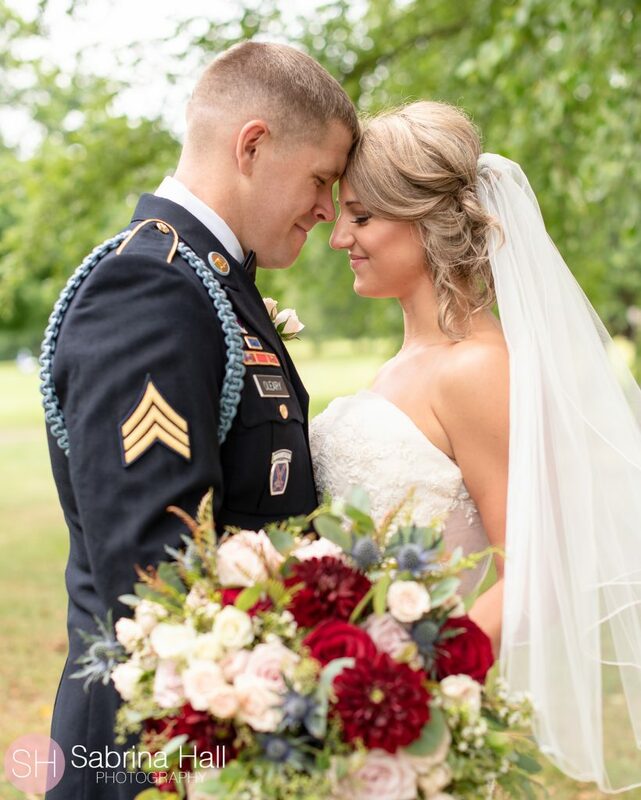 A: Typically, we like to be to the ceremony site, or wherever the flowers will be needed, about 30 minuets prior to the arrival of your photographer. Once the ceremony flowers are delivered and decor is in place we will then go to set-up the reception (if applicable). Q: Will you stay and pin on the boutonnieres for the groom and groomsmen? A: It all depends on timing. Typically we are happy to offer this service at the time of delivery provided the groomsmen are arriving within 30 minutes. If they are not there within this time period, all boutonnieres and corsages are individually labeled with who they are for to make passing things out easier. Q: Where do you keep my bridal flowers leading up to my wedding day? A: The flowers are ordered 2 weeks prior to your event and trucked in from Miami or flown in via FedEx. They are picked up from our distributor and brought to our workshop where they are kept in our walk-in cooler. The bouquets are designed on site and stored in the cooler in water until delivery for the event. 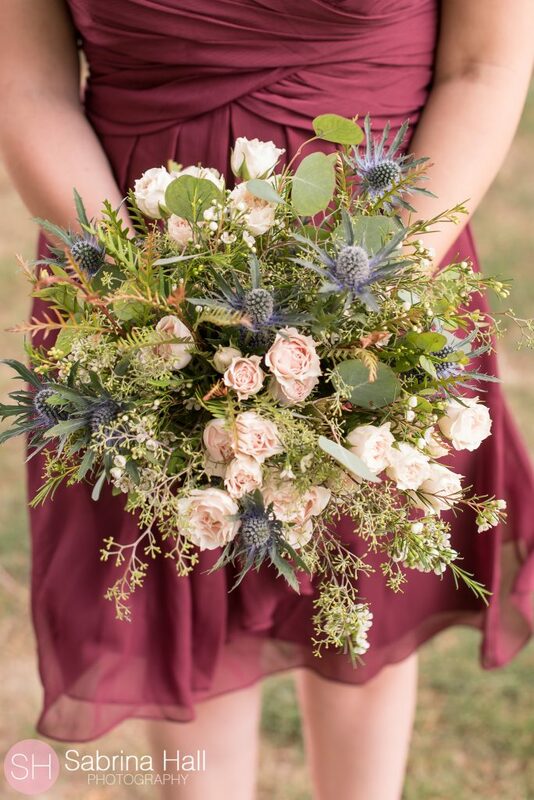 Q: Will I need water for my flowers leading up to my ceremony? A: It is encouraged. 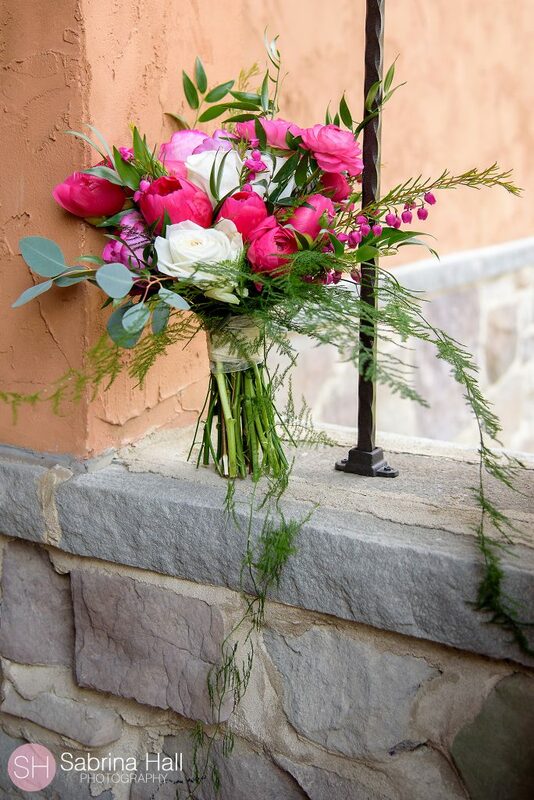 We deliver all the bouquets in a vase (yours to keep) of water for our brides. It is most important when using delicate flowers such as hydrangea. This will be a detail discussed in your consultation. Q: Do you book more than one wedding a day? A: Yes. We never book more business than we can handle on any given weekend. Sometimes there is more than one wedding in a day. We have designers and a team of staff able to accommodate the needs of our brides.